Short Message Service (SMS), more colloquially known as ‘text,’ is a protocol used for sending short messages over mobile networks. The first SMS was sent in 1992; By 2010, SMS was the most widely used data application, adopted by 80 percent of mobile subscribers. Then, came the rise of the smartphone. Smartphones paved the way for consumers to communicate through a variety of outlets – from email and instant messaging to over-the-top content messaging apps. However, despite the growth in other communication channels, SMS is still widely in use and remains one of the primary channels of communication. Why? Here are four crucial reasons. When it comes to timeliness of delivery, SMS maintains the highest engagement rate in comparison to emails and OTT apps. SMS is available as long as you have a mobile phone and service plan. This makes its global reach soar as there are no pre-existing connections required, such as accepting friend requests or requiring two parties to download the same app. The lower barriers to communication let users receive messages quickly, making it ideal for sending short, time-sensitive content. The technology for sending and receiving SMS is not reliant on high speed internet, essentially making anyone in modern society reachable. Over-the-top messaging apps such as WhatsApp, Facebook Messenger, Viber and WeChat function only while connected to the Web. Different apps also have require different hardware and software compatibilities, weeding out users with feature phones or smartphones that the OTT app doesn’t support. For instance, not all OTT messaging apps are available on Firefox OS, Windows, Blackberry or legacy versions of iOS and Android. In contrast, a user does not need to be connected to the Web or have membership to the same app to receive an SMS. SMS can be classified into person-to-person (P2P) SMS, where two mobile subscribers exchange messages. Application-to-person (A2P) SMS, on the other hand, allows an app to deliver messages to a mobile subscriber. Typical use cases for A2P SMS include payment confirmations, appointment reminders, account updates from banks, mobile ticketing, flight updates, etc. The issue with traditional A2P SMS is that the process is clunky and can be expensive for companies to deploy. Traditional methods require a company to liaise with a variety of middlemen – such as SMS aggregators, gateway providers, marketers and resellers – before gaining access to the SMS inventory of the various network operators. Today, a new breed of cloud communication platforms utilizes easily-deployable technologies to increase quality of message deliverability. They also combine a pay-per-use cost model of cloud services with simple telephony Application Program Interface (API) tools to make it easy for developers to integrate into their applications while maintaining low operational cost. In effect, this bypasses the need for the middlemen. In accessing the global telecom network directly, companies gain faster delivery times and better reliability of service. This makes A2P SMS accessible to more companies – especially startups – and application developers who were previously limited by lack of human and financial resources required by the traditional route. With the proliferation of mobile devices, more personal data are transferred over the Web than ever before. To add a layer of security, two-factor authentication has become the go-to method for companies to protect its users. Using SMS as an authentication method has been rising in popularity, as a user almost always has a mobile device on them at any given time. The cost of sending an SMS is also very low, while its ease over voice call for 2FA makes SMS more ideal for today’s fast-paced society. 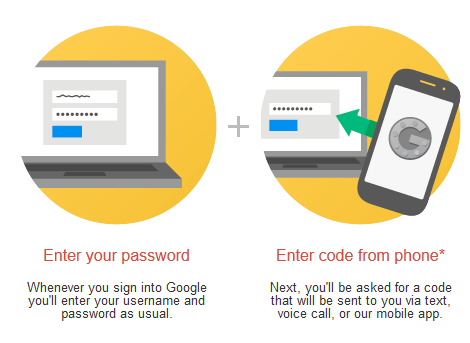 Companies using SMS as a step in two-factor authentication (if activated) include Google, Apple, Facebook, Twitter, Dropbox, PayPal and LinkedIn. Today, SMS may be viewed as antiquated technology – but the reality is it that SMS plays a key role in connecting most modern technologies. From its high user engagement rate and 2FA benefits, to its disruption in the A2P sector, we won’t see SMS disappear anytime soon. Previous Previous post: Hot Black Friday Deals 2015.